🃏 Good Monday morning, and welcome to April. Watch out for April fools (and don't be one)! 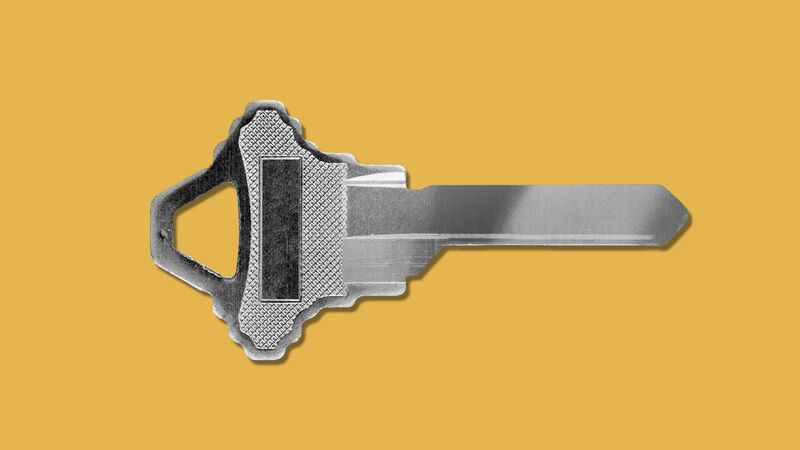 We consistently say we want more privacy, then we don't do anything about it, Axios managing editor Kim Hart writes. What's new: Surveys show consumers care about preserving whatever privacy they have left. But then data from the tech platforms shows that few people actually take steps to restrict or delete the troves of data about them. Why it matters: The services collecting that data (Google, Facebook) are so huge and intermingled with everyday life — and managing our data (and who gets access) is so complicated. 92% of consumers say they should be able to control the information about them on the internet, per a recent PricewaterhouseCoopers report. Yet less than half (45%) updated privacy settings, an IBM survey found. Only 18% deleted a social media account. Jay Cline, privacy leader of PwC US, says opt-out rates for marketing blasts are incredibly low — under 2%. "People say they're worried, but they don't vote with their fingers." 2. Scoop: Zuckerberg returning to D.C.
Mark Zuckerberg will likely be make the rounds in Washington soon, as part of Facebook's effort to get ahead of global regulators by proposing rules of his own. Zuckerberg plans to talk to lawmakers about ideas he proposed in a weekend op-ed, top policy exec Kevin Martin told Axios' David McCabe. Facebook's message: Drastic regulatory actions won't stop harmful content. Facebook says benefits of its size include the resources to promote safety. Chaser ... Front page of today's Wall Street Journal: Fake news runs wild on Facebook-owned WhatsApp in India ahead of national elections (subscription). What's new: "India is now the world’s cheapest country to spread fake news ... Many of the new users ... are using mobile phones that cost as little as $20." Why it matters: "Efforts to stop the spread of misinformation are having little effect." "But a still shot taken from a video [was] misleadingly extracted from what was a longer moment between close friends ." A crane yesterday lowered a rusty remnant of the Holocaust onto tracks outside Manhattan's Museum of Jewish Heritage, AP's Verena Dobnik writes. 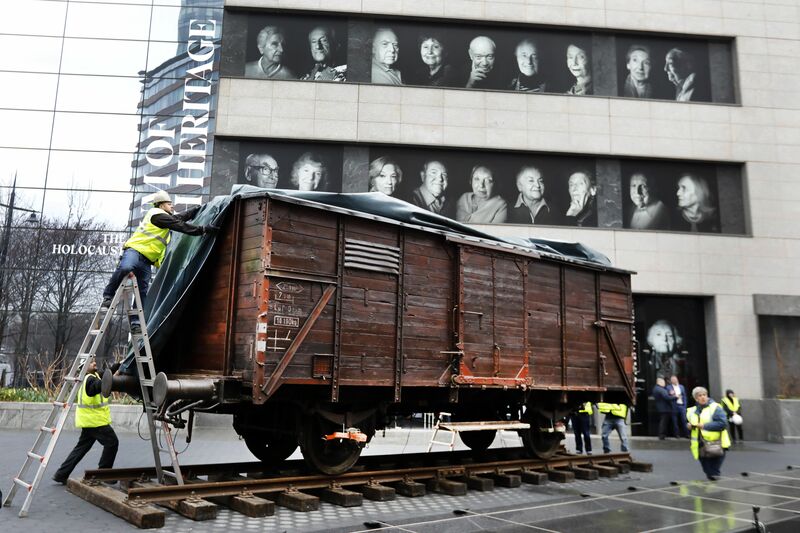 It's a windowless German boxcar like those used to transport men, women and children to Auschwitz and other Nazi death camps. It's among 700 Holocaust artifacts, most never before seen in the United States, being prepared for one of the largest exhibits ever on Auschwitz. The exhibit — "Auschwitz. Not long ago. Not far away" — will be open May 8 through Jan. 3. What's news: "Investors are putting more money into U.S. stocks as 2019's rebound continues, a shift that some analysts expect to drive markets higher despite the recent rally in government bonds and an expected slowdown in economic growth," per The Wall Street Journal (subscription). "People are trying to get really aggressive now," said Benjamin Lau, chief investment officer of Apriem Advisors. "Clients do not want to miss out on the upswing in the market ... The hard part is keeping their expectations in check." Be smart: The euphoria is divorced from warning signs from around the world. It was only two weeks ago that The Journal reported: "Manufacturing Pullback Flashes Signs of Economic Slowdown." On April Fools' Day, linguists and computer scientists tell us that humor makes humans special: When people try to teach machines what's funny, the results are at times laughable. 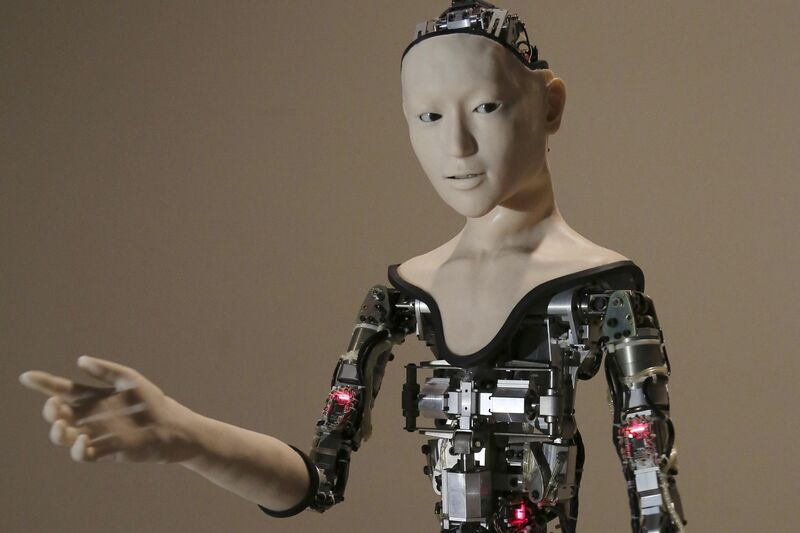 "Artificial intelligence will never get jokes like humans do," said Kiki Hempelmann, a computational linguist who studies humor at Texas A&M. "They miss completely context." Tristan Miller of Darmstadt University of Technology in Germany, who has analyzed more than 10,000 puns, said humor "relies so much on real-world knowledge — background knowledge and commonsense knowledge." The trend: The investment community is becoming an alternative climate-change battleground as U.S. government policy retreats, Amy Harder reports from New York for her "Harder Line" column. What's new: The New York public pension fund and Church of England’s endowment have filed a resolution for consideration at Exxon’s annual meeting in May calling for the company to disclose targets that would drastically reduce its greenhouse gas emissions. Why it matters: These two players have been successful in the past: New York Comptroller Thomas DiNapoli and the Church of England were behind a 2017 resolution urging Exxon to write a report disclosing the risks climate regulations pose to its bottom line. A surprising 62% of shareholders supported it. Exxon issued the report last year. "No. 2 seed Michigan State did it. The Spartans slayed the giants of college basketball. 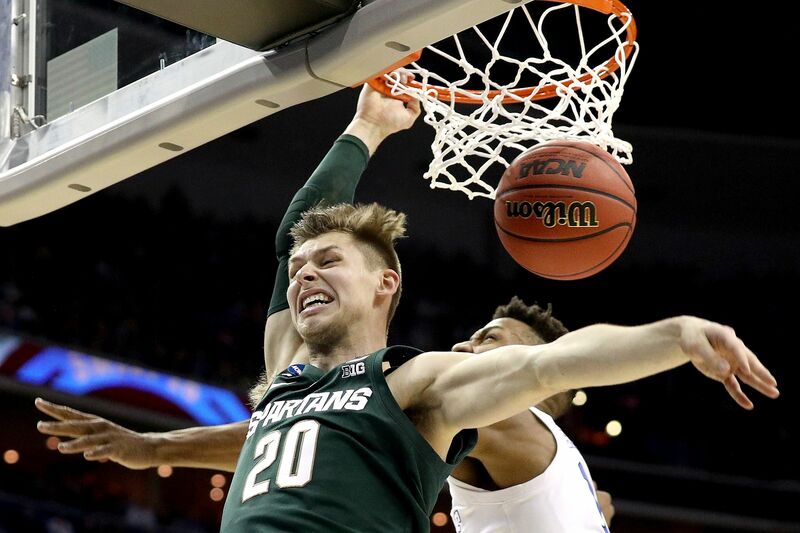 In a thrilling 68-67 down-to-the-wire win, Michigan State ousted No. 1 overall seed Duke at Capital One Arena," CBS Sports writes. Why it matters: "Duke, the No. 1 overall seed, ... had flirted with fire too often." "This was not a fluky outcome. Duke didn't choke a lead late. Michigan State didn't pull this off in Cinderella fashion." Coach Tom Izzo's Spartans "were the better, more sound team for 40 minutes. They led for 22 minutes of game time, and came up big when it mattered." 6:09 p.m ET: Auburn vs. Virginia. 8:49 p.m.: Texas Tech vs. Michigan State. 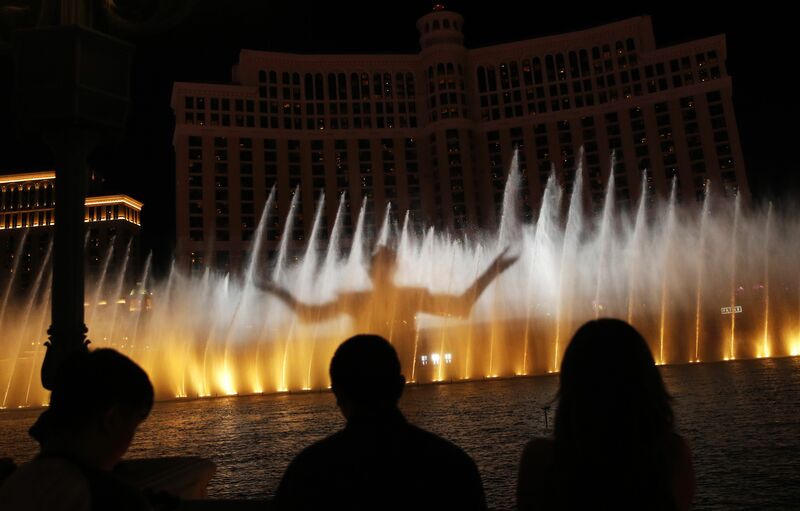 The Night King is projected during a "Game of Thrones" show at the world-famous fountains of the Bellagio casino in Vegas last night. The jets danced to a score incorporating Ramin Djawadi's "Main Titles" theme, and his "Winter is Here" from last season. A fire-breathing dragon lit up the nine-acre lake in a blaze of pyrotechnics, AP's Regina Garcia Cano writes. The fountain show will run nightly through April 13, the day before the premiere of the HBO fantasy series' eighth and final season.